Roof Moss Removal, Organic Treatment and Pressure Washing in Portland "Do it yourself tips for Gutter, Window Cleaning Oregon." Wanna get your hands dirty, eh? Well, you've got all our respect and support. Here you'll find unbiased, unpaid, random tips and product recommendations from our personal experience. 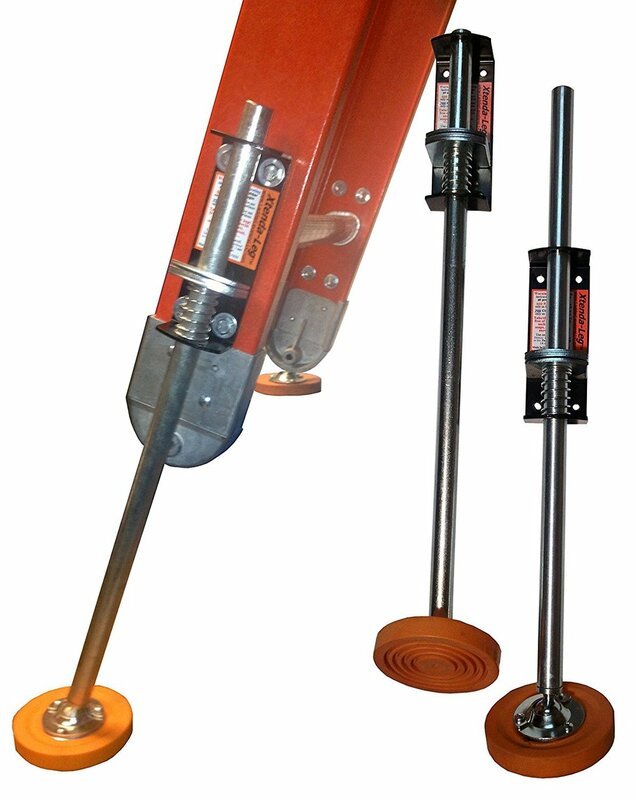 12' extension pole, light weight, good quality, multi-purpose. Attach Gutter Getter. Telescoping flow-through wand. Low quality. Still great in a pinch to clear a clogged downspout from the ground. Attach Nozzle. Nozzle. Durable. Fine stream. Haven't broken one yet. This tool is a must-have. Clears downspouts, flushes gutters, cleans up anything. "Gutter Getter". Attach to extension pole. Hangs itself hands-free onto gutter lip. Medium quality, Great for average use. Hands-Free Hanging Setup... I'll get a better picture soon. • Buy a bucket with a squared handle. Take one end of a bungee cord and, just below the hook, tie a tight knot around the bucket handle corner. Do the same with the other end at the other corner. It should look like this. Now the bungee hooks can hold the bucket onto the gutter while you work. Keep an eye on bucket weight. Here's the idea. Suit it to your needs and be sure it feels secure before beginning work. Click pictures to enlarge. Norwesco Leaf Strainer. Durable, doesn't "self-clog" like many with smaller holes. Easy to install, spring-loaded style keeps it in place. Copper or Stainless Steel. More expensive than Norwesco and more durable. Easy to install, spring-loaded style keeps it in place. Very inexpensive Can last up to several years if not in direct intense sun. Plastic grid with mesh overlay that can be removed. Attach to extension pole. Excellent for getting the right angle to remove moss or pull debris down from your roof valleys. Durable. 18 ft extension pole. 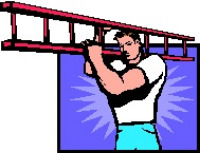 Reaches to the peak of most roofs while standing on a ladder at the gutter line. Excellent to have on hand for just about anything. All is great quality except the plastic tip. Worth every penny and the effort to install. Bought and installed 8 yrs ago, currently on a 32 ft heavy-duty aluminum ladder, still working great despite being stored in the elements. Our best friend on the job, any job, but especially moss removal. Grab your garden hose and attach a jet or stream nozzle to it. From the ground or from a ladder height you're comfy with, see how much of your roof you can get wet. Don't shoot water under the shingles, just act like you're watering the roof. The area you can water represents the area you can apply moss treatment to. Ace, Home Depot and Lowe's all carry moss killers that come in a premixing bottle that attaches to your hose. They shoot about as far as your jet nozzle. Treat the roof about as often as your gutters need cleaning. Pay more than the usual attention to areas with branches that block the sun and areas that face the north. These often need more frequent treatment. Always stay a step ahead of the moss as the goal is to prevent growth. Does this look a little more familiar? Don't let the height at the peak intimidate you. If this homeowner can clean their gutter, treating this house can be done easily at the same time. Notice the areas he could spray from just two ladder positions. Click for larger image. Designed to hold the white pad shown. Attach to extension pole. Window safe scrubbing pad. Attach to "doodlebug" shown. Mystic Maid Microfiber Cleaning cloth. Great for cleaning small french-style panes. Use with hot water and white vinegar or mild dish soap. Wring it out really well and wipe. Click for link to the cheapest place we've found them. For Exterior Windows - For less than $20, purchase the pad and holder shown to the left. This pad is window-safe and can scrub a good 90% of your dirt and grime off. Apply a dab of mild dish soap directly or dip the pad in a mixed solution of water/dish soap or water/vinegar. 1) Wet the window with your hose, 2) scrub it with the pad, (keep the window wet while scrubbing, always). 3) rinse it well and walk away. The method above is also excellent for cleaning exterior skylights. Keep the window wet while scrubbing, always. For Interior Windows - Try out the Mystic Maid Microfiber cloth shown. It sounds weird, I know. BUT these guys are very handy and, when used with clean warm/hot water and vinegar, they deliver an excellent clean without streaks. Dip, wring out very well, fold and wipe the whole window. Flip to a clean side and wipe evenly from side to side as a final sweep. Run the rag along the outer inch of the pane all the way around and let dry. We've done entire houses with tiny little panes using just these. Give them a try. Never use a dish sponge scrubber on any window or glass that isn't a dish. They are known to leave permanent scratches.